Catholic University Law School, J.D. David A. Fuss specializes in the litigation of large, commercial real estate tax and condemnation matters. His practice includes the litigation of cases before District of Columbia administrative agencies, the Superior Court of the District of Columbia, the D.C. Court of Appeals, and the U.S. District Court. David has successfully litigated both jury and non-jury matters and has argued in the D.C. Court of Appeals. He has extensive motions practice and is well-versed in the intricacies of discovery procedure. 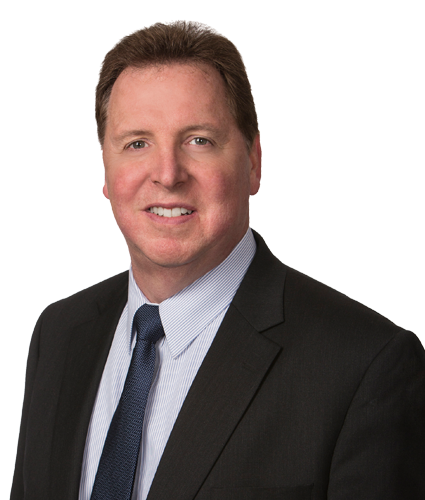 David has also represented such clients as Georgetown University, Jubilee Housing and the Washington Opera in real property tax exemption matters. David is an appointee to D.C. Superior Court Tax Rules Committee and is an active member of the Apartment and Office Building Association and the D.C. Building Industry Association. Prior to joining the firm in 1988, David was a judicial law clerk to the Honorable Fred B. Ugast, Chief Judge of the Superior Court of the District of Columbia. He has also served with the U.S. Department of Justice, the Department of State and in the intelligence community. He is a member of the D.C. and Maryland Bar, the American Bar Association, the Association of Former Intelligence Officers and is on the Board of Directors of the Michigan in Washington Program. David holds an A.B. in Political Science/International Relations from the University of Michigan and a J.D. from Catholic University Law School.